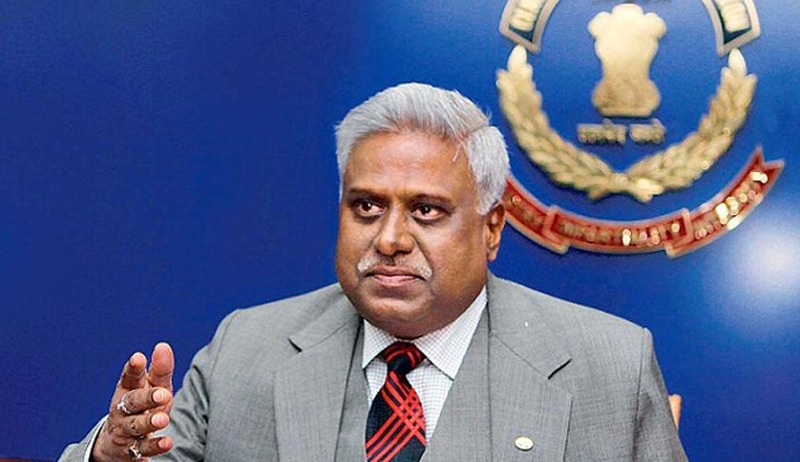 In a setback to former CBI Ranjit Sinha,Sin the Supreme Court today ordered handing over of original visitors' diary of his official residence to a court-appointed panel to probe whether his meetings with accused and others led to botching up of investigation in Coalgate cases and helped various accused. The visitors' log book, which was lying in sealed cover with another bench hearing 2G cases, be given to the panel headed by former special director CBI M L Sharma who will have to share the contents with other probe team members only and file a report in the court within 12 weeks, a three-judge bench headed by Justice M B Lokur said. The bench, also comprising Justices Kurian Joseph and A K Sikri, further said that the stipulated 12 weeks time, granted to the court-appointed panel, would begin from the day it receives the documents. Senior advocate Vikas Singh, appearing for the former CBI Director, reiterated his stand that the alleged meetings alone cannot per se be termed objectionable as the real test would be whether those meetings led to according of favours to any named accused or other persons. On June 7 the former CBI Special Director M L Sharma had emerged as the first choice of the Supreme Court to assist the Central Vigilance Commission (CVC) in its probe against Ranjit Sinha, who during his tenure as the agency chief, was accused of scuttling the probe in the coal block allocation scam. The suggestion to rope in Sharma, subject to his consent, for inquiry against Sinha by the CVC came from a bench headed by Justice M B Lokur after anti-corruption watchdog said it did not have its own investigating arm. The bench, which is monitoring the probe, had sought the CVC's assistance to determine the methodology for conducting such an inquiry on whether his meetings with the accused had any impact on the investigations, the subsequent charge sheets or closure reports filed by the CBI. Attorney General Mukul Rohatgi submitted that since the CVC did not have its own investigating arm, the investigators from the CBI and ED, who are not associated with coal cases, can be asked to assist the anti-corruption watchdog. At this, the bench suggested the name of Sharma saying that he was an outstanding officer who enjoys good reputation and can be asked to have officers, either in service or retired, on whom he has confidence to be in his team to assist the CVC. If Sharma has no objection, ask him to give 3 or 4 names of officers who can assist him, the bench told Rohatgi. The Attorney General said he would speak to the former CBI officer and informed the bench about the outcome. The bench said if Sharma did not agree with the assignment, the top law officer would suggest names of some others.